It’s no secret that the amount of online video being produced and consumed is skyrocketing, with hundreds of millions of Internet users watching billions of videos every month. Ironically, the popularity of online video creates both tremendous opportunities along with some challenges for marketers and communicators to attract and engage audiences. Brightcove’s own statistics show that video drives website traffic and increases time on site. Many leading global brands are already leveraging deep integrations with Brightcove’s Video Cloud online video platform for their website and social media strategies. 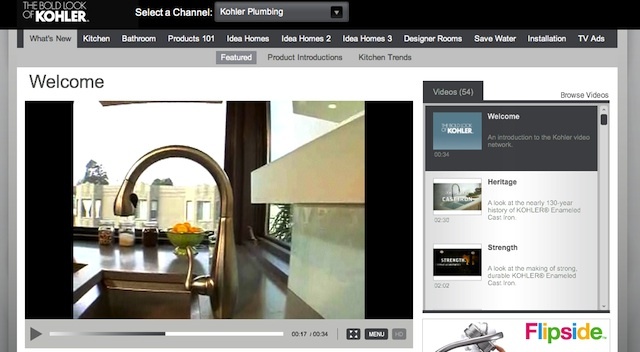 Kohler, for example, has created several video channels and an extensive content library dedicated to its various product lines. And Nestle Purina supported its Incredible Dog Challenge with a broad range of video content highlighting the canine and human participants in its annual series of regional sport dog events. One of the benefits that comes with all Video Cloud Solutions is direct access to Brightcove Online Video Professional Services, a highly skilled group offering start-to-finish consulting, strategy, design and development services to bring your solution to reality in the shortest time possible. Consisting of dedicated Brightcove online video experts, the professional services group helps customers accelerate time to market, refine key strategies and tactics, and differentiate you from your competition. Brightcove Video Cloud Solutions are available through Brightcove Professional Services in conjunction with Video Cloud Pro or Enterprise subscriptions. To get started or learn more contact Brightcove Sales.